"Wait for me," Ollie yelled. "You're leaving me behind." Zach and Caleb slowed a little for their friend to catch up. Within seconds, an epic day of thrills and adventure for Mark, Caleb and Zach turns to tragedy. Reeling from the aftermath of a senseless accident, their carefree childhood is cruelly snatched away, and the three young friends thrown into a tumultuous existence as they each grapple to come to terms with the devastation of that tragic day. The journey ahead is dark and frightening. Though each has chosen a different path, the harrowing destination is the same. Is there any way to escape the inevitable destruction that lies ahead? Will they be able to find the elusive keys to freedom before it is too late? 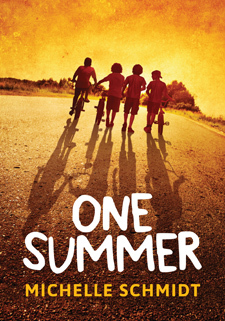 An excellent, exciting and emotional teen fiction novel dealing with friendship, life and grief, set in New Zealand. Designed for a 10 to 14 year old reader level, but suitable for older readers too.